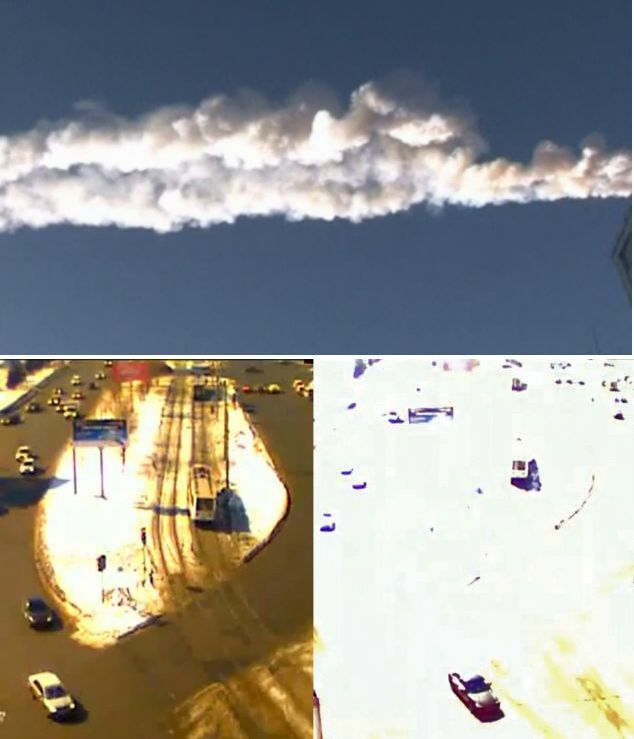 While the Asteroid 2012-DA14 is to intrude inside earth's communication satellite orbit any time today, there are reports from Russia that a meteorite shot across the sky in central Russia early on Friday and sent fireballs crashing to Earth, smashing windows, setting off car alarms and injuring 150 people. Residents heard what sounded like an explosion, saw a bright light and then felt a shock-wave as they went to work in Chelyabinsk, according to a Reuters correspondent in the industrial city 1,500 kilometres east of Moscow. The meteorite then raced across the horizon, leaving a long trail of white smoke in its wake which could be seen as far as 200 kilometres away in Yekaterinburg. Car alarms went off, windows shattered and mobile phones worked only intermittently.